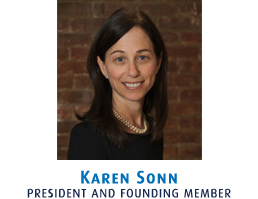 Karen Sonn is founding member and president of Sonn and Associates, P.C. 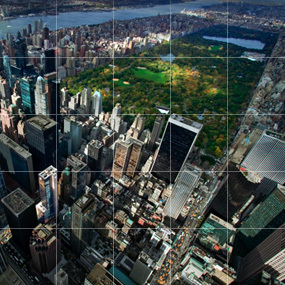 Established in 2005, the firm concentrates on all aspects of residential and commercial real estate for individual, corporations and cooperative corporations. Additionally, Sonn and Associates, P.C. offers legal representation on all transactional matters for small businesses. Clients range from the first time home or commercial properties purchaser/leases/lessors to the savvy real estate investors and landlords. Karen assists a range of individuals and entities with their purchasing and leasing needs. Additionally, she has expertise in a wide array of negotiations and drafting, and works with corporations, estates, bankers, mortgage brokers, banks, managing agents and co-op/condo boards with their real estate needs. Karen is experienced in 1031 like kind tax deferred exchanges. Karen has a BS in Marketing from Syracuse University (1984) and has an MS in Real Estate from NYU (1993). She also holds a JD from NY Law School (1990) and has been practicing real estate law in New York since 1991. Karen prides herself on responsive client service and growing a business that has been built on referrals and a satisfied client base. Karen is a member of the New York State Bar Association.